We have built up a close knit team of experienced carers, some of whom you will meet as part of your care package. We support our care staff through continual personal development and training, including QCFs in Health and Social Care (levels 2 and 3). Although we can’t always send you the same carer, we try to make sure that each client is assigned as few carers as possible. This allows our carers to build relationships based on trust and mutual respect. The carer gets to know you and your routine. If you find a particular carer is unsuitable, we will be happy to discuss changing your carer. There is always a manager available to deal with questions and problems: from changing your visits to advising on the services we provide. Our duty manager can deal with emergencies and unexpected situations, whenever they might occur. We use a secure IT system to make sure that we have the information we need to offer the best service and make the right decisions. 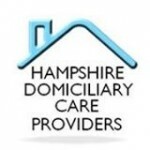 We are registered with the Care Quality Commission and we are members of Hampshire Domiciliary Care Providers. We provide services to Hampshire County Council, the NHS and a range of private clients. Penny started Crofton Care in 1983. She has Level 4 NVQs in care and management, and worked for many years as a registered general nurse. She has nearly forty-five years of experience in hospitals, care homes and nursing homes, as well as working in the community. Mark has worked within the care sector since 1996. He has a Level 5 NVQ in Health and Social Care Management and other professional qualifications. Mark is responsible for administration, policies and procedures. Gareth joined the team as a carer and worked in the community before joining the management team. He has a Level 5 NVQ in Health and Social Care Management. He manages the service on a day-to-day basis and works closely with our team of carers. We also have an administrative officer, Marianne, who supports the management team. Debbie and Tracy are experienced carers who have had additional training to be able to assess clients and tailor our service to meet needs. "Crofton Care Partnership provides the highest standard of domiciliary care for the whole community, allowing clients to enjoy the most fulfilling life possible while remaning in their own homes."